FCA's Forward Collision Warning-Plus uses camera and radar technology to sense potential obstructions. A quick stop in heavy traffic – it’s one of the most challenging situations a driver faces, but it happens regularly, whether it be the daily rush-hour commute, or arriving for a big sporting event or concert, or as other drivers react to an ongoing emergency. The rear-end collision is the most common type of car crash in the United States, the National Highway Traffic Safety Administration says, accounting for about 35% of all crashes each year. A vehicle travels about 45 feet (about three car lengths) every second at 30 mph, and doubling the speed doesn’t just double the total stopping distance, it triples it. So, every tenth of a second of warning and reaction can help make the difference between a safe stop and a crash. 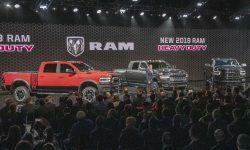 Several Chrysler, Dodge, Jeep, Ram and FIAT vehicles can be equipped with forward-looking technologies to help detect obstacles in the road ahead, alert the driver based on speed and closing rate and, with the most advanced system, help slow the vehicle. Forward Collision Warning: Uses radar technology. When the system determines a collision is imminent, it triggers a visual and audio alert to the driver to take action and pre-fills the brake system for instant response when the driver steps on the brake pedal. This system is available on the 2018 Dodge Challenger. 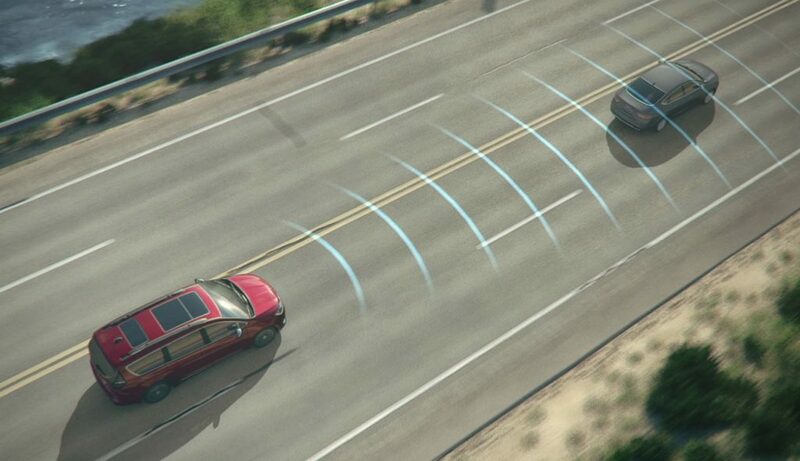 Forward Collision Warning-Plus: Uses radar and camera technology. This system combines inputs from the radar and camera to determine if a collision is imminent. In that event, it triggers a visual and audio alert to the driver to take action and pre-fills the brake system. If the driver does not respond, the system momentarily applies the brakes to alert the driver. If the driver still does not respond and the obstacle remains, the system applies the brakes to slow the vehicle before impact. This system is available on the 2018 Chrysler Pacifica, Dodge Durango and Jeep® Renegade and Grand Cherokee. Full-speed Forward Collision Warning-Plus: Uses radar and camera technology. This system operates with all the capabilities of Forward Collision Warning-Plus. 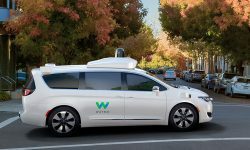 In addition, if the driver does not respond to the alerts, the braking system may bring the vehicle to a full stop when the collision threat is detected at speeds less than 25 mph. This system is available on the 2018 Chrysler 300, Dodge Charger, Jeep Compass and Cherokee and Fiat 500X. As a driver, avoiding distractions is paramount for safe travel, regardless of the vehicle. Don’t pick up your mobile phone while driving – have a passenger handle that duty if you’re not riding solo, or use the hands-free capabilities of the Uconnect system. If a call or text message is that important, drive to a safe spot and park before responding. Every trip has the potential for sudden stops. Staying alert, and the technology available in Chrysler, Dodge, Jeep, Ram and FIAT vehicles, helps you navigate the road safely.